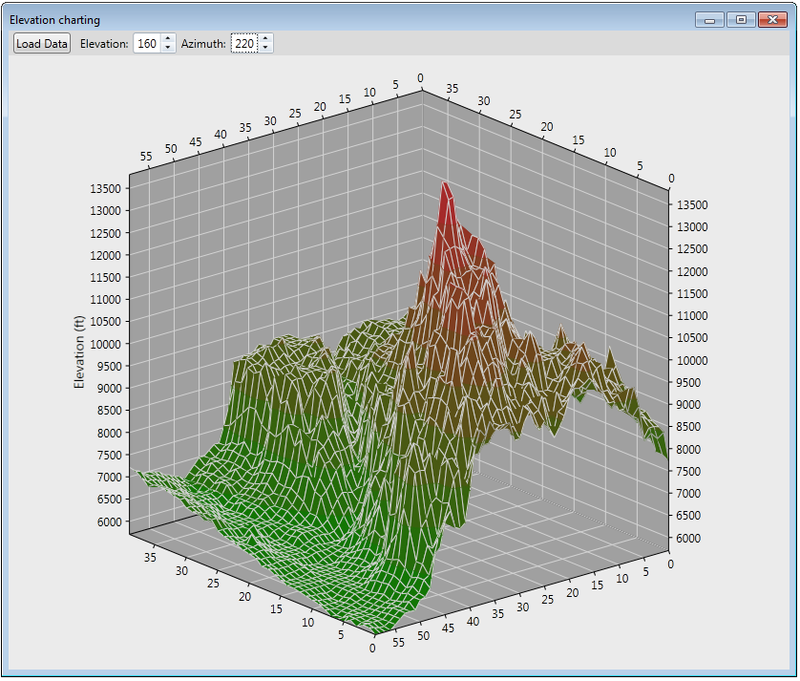 Create fast and functional three-dimensional surface charts with ComponentOne Chart3D™ for WPF. With high performance Direct3D rendering, your charts can handle large data sets and smooth end-user interaction. 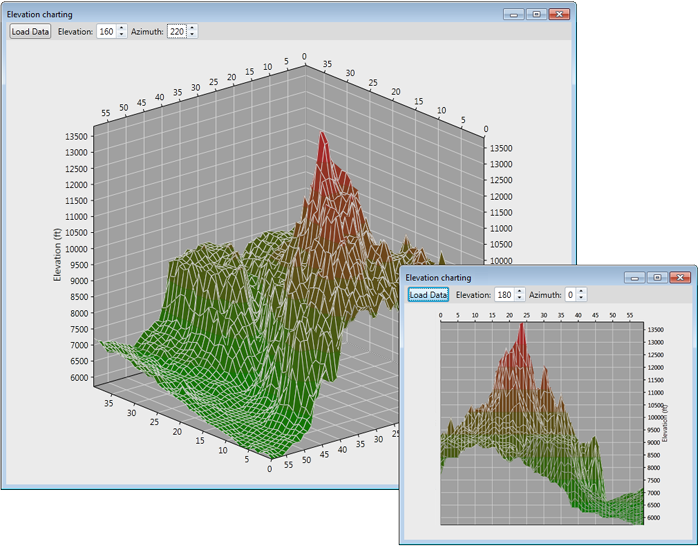 The Chart3D control supports six different surface and contour chart types. 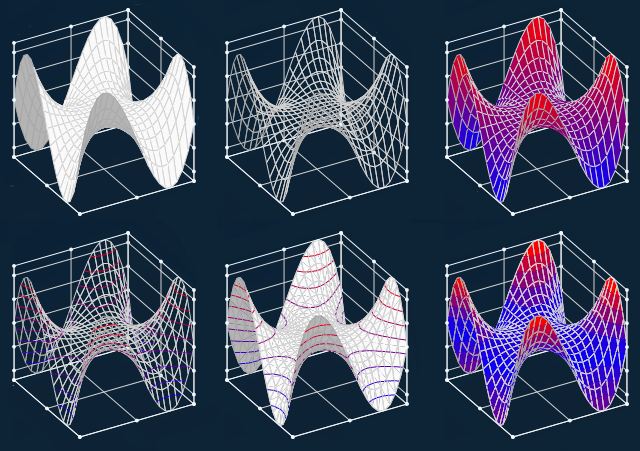 To start, you can choose among a variety of wireframed, contoured, and shaded chart types. Customize whether zones and meshes appear along each axis. Deliver the highest performance charting possible with DirectX rendering. The Chart3D control supports a Direct3D render mode, which takes advantage of hardware acceleration features supported by your graphics card. With DirectX rendering, you can display more data faster without sacrificing performance. The end user can rotate the chart to any angle by simply dragging the chart. Determine which value the user clicks with hit-testing, and display markers or tooltips on the chart with easy coordinate conversion methods. 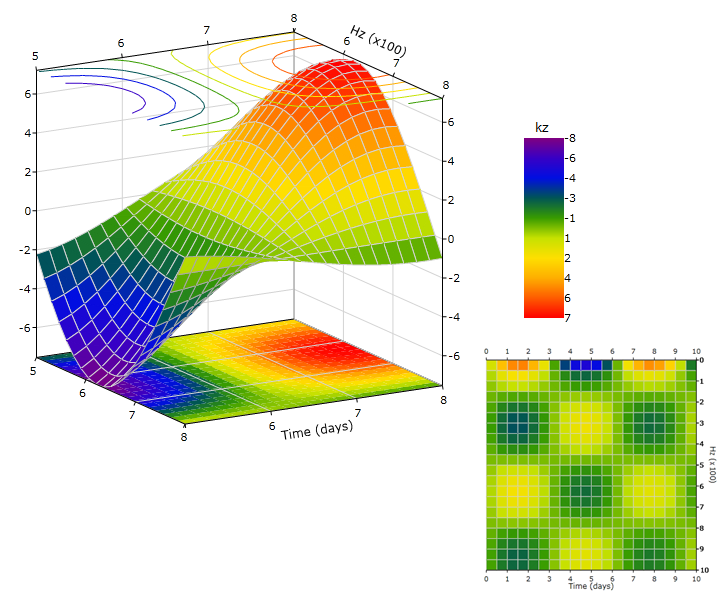 Chart3D can be used to create flat — or two-dimensional — 3D charts like heat maps. The contours and zones can be displayed on the ceiling or floor of the plot cube. Floors and ceilings add a flat, 2D representation to the 3D model.